Fiat Group Automobiles UK Ltd has just announced prices of the eagerly-awaited new Fiat 500, which goes on sale here in January. With a starting price of just £7,900 OTR, the new Fiat 500 represents outstanding value for money and positions the car well below its benchmark rivals. At the top end of the range, a highly specified version with a larger engine costs only £10,700 – an OTR price that includes air conditioning and alloy wheels as standard. 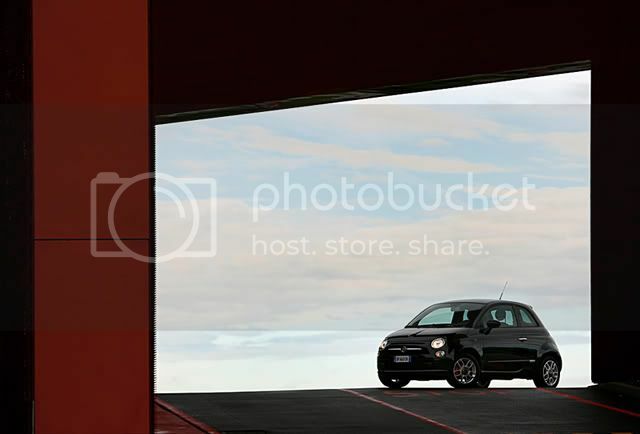 Available with a choice of three frugal, ultra-low emissions, Euro 5-ready engines: 69 bhp 1.2-litre and 100 bhp 1.4-litre petrol, or 75 bhp 1.3-litre MultiJet turbodiesel, the new Fiat 500 can be ordered in three different trim levels – Pop, Sport and Lounge. Standard equipment in the entry-level Pop includes ABS anti-lock brakes with EBD, driver, passenger, side and driver’s knee airbags, radio/CD/MP3 player, power steering, electric mirrors, colour coded bumpers and chrome-plated door handles. The extensive options list includes ESP, glass sunroof, metallic paint and parking sensors.Sport and Lounge versions start at £9,300, while specifying a larger engine in any trim level adds £1,400. Standard equipment on both Sport and Lounge versions includes the Blue & MeTM hands-free media system, air conditioning and 15” alloy wheels. Sport specification includes a rear roof spoiler, fog lights, sports interior and dark tinted rear windows, while Lounge trim includes a split, folding rear seat and fixed glass roof. The simple pricing structure means that any combination of car is possible – customers simply start with a 1.2 Pop and add £1,400 for a more powerful engine, £1,400 for a higher trim level, or £2,800 for any combination of both. A huge list of style options – created specifically to offer customers wide-ranging opportunities for personalising the interior and exterior of their vehicles – is also available. “There has been widespread speculation about Fiat 500 prices this year and we’re delighted now to be able to reveal them,” says Elena Bernardelli, marketing director, Fiat Group Automobiles UK. “We wanted to create a classless car for everyone, that was not just about being a well-known badge, and with this pricing structure I believe we have introduced a model to the UK that will be within the reach of a wide range of customers.”The Fiat 500 goes on sale through Fiat’s 162-strong UK dealer network in January 2008.